The base needs to be right. There is nothing more unpleasant than damp, clinging undergarments irritating your skin. It doesn’t matter how good the rest of your equipment is if you feel uncomfortable in your base layer. Luckily, Mammut's Eiger Extreme Collection includes the Mammut Women's Moench Advanced Half Zip Longsleeve. The combination of very lightweight Polartec® Power Dry® and highly elastic Polartec® Power Stretch materials keeps you cozy and warm and fits like a second skin. The chin protector on the high-cut collar avoids chafing. 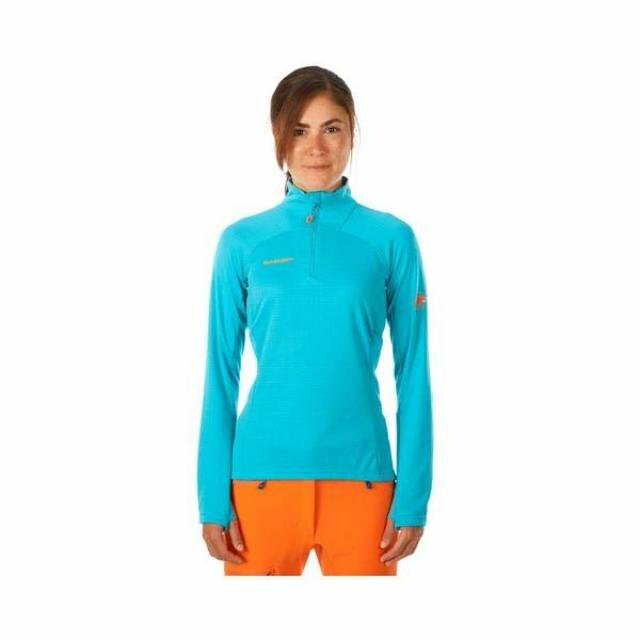 And, to allow you to slip your favorite longsleeve on again the next day, the Mammut Women's Moench Advanced Half Zip Longsleeve has an antimicrobial treatment. Which means: it stays fresh for longer.